This Quoizel Emery medium Imperial silver industrial pendant light with lower mounted ribbed diffuser is detailed and attractive. It will look fantastic in any kitchen, small hallway, vestibule or landing. 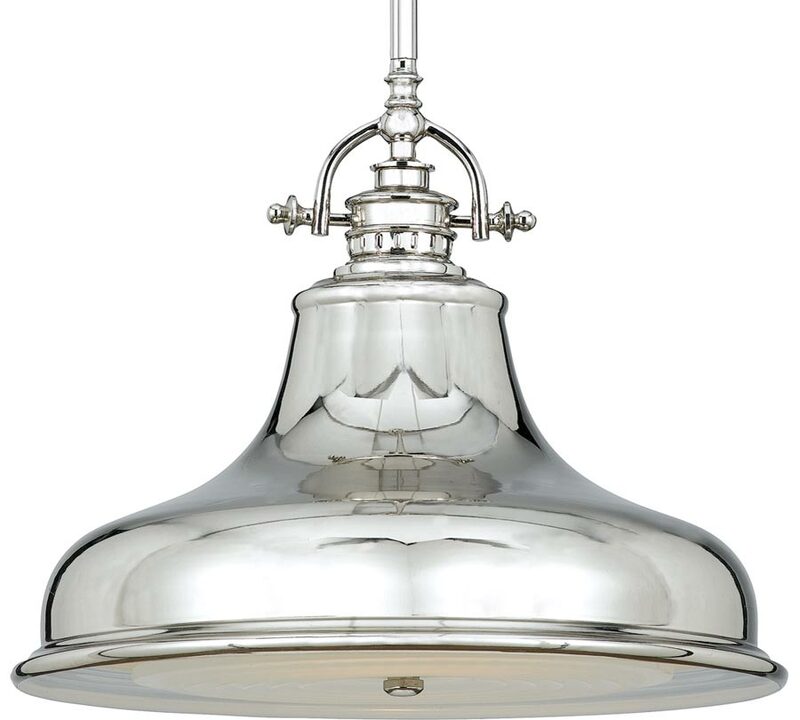 With a circular ceiling plate finished in Imperial silver and a height adjustable drop rod attached to a wide domed metal shade at the base of the slender stem, held in place with a stirrup attached by detailed thumb screws. A lower ridged diffuser shade helps reduce glare and diffuse the light. 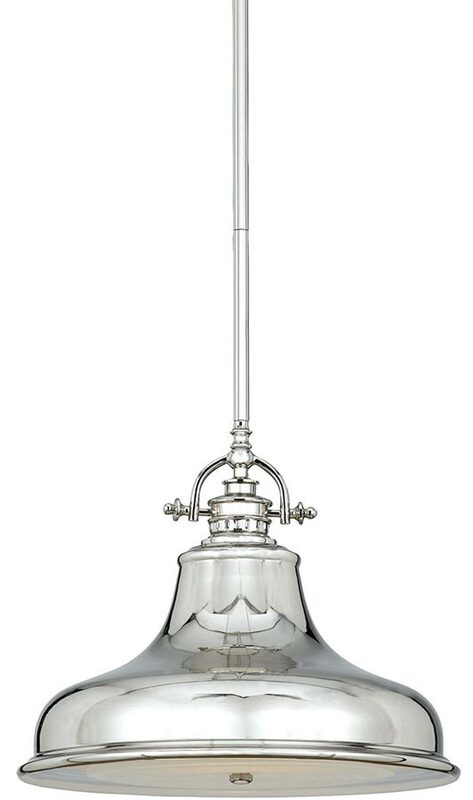 The Emery medium Imperial silver industrial pendant light with lower mounted ribbed diffuser is designed by Quoizel, founded in 1930 in New York. They relocated to Charleston in 1996 where they remain to this day. They remain a privately held, family-owned and operated business. Quoizel products are now being introduced to the UK market and have quickly built a reputation for their diverse, unique and fresh designs.